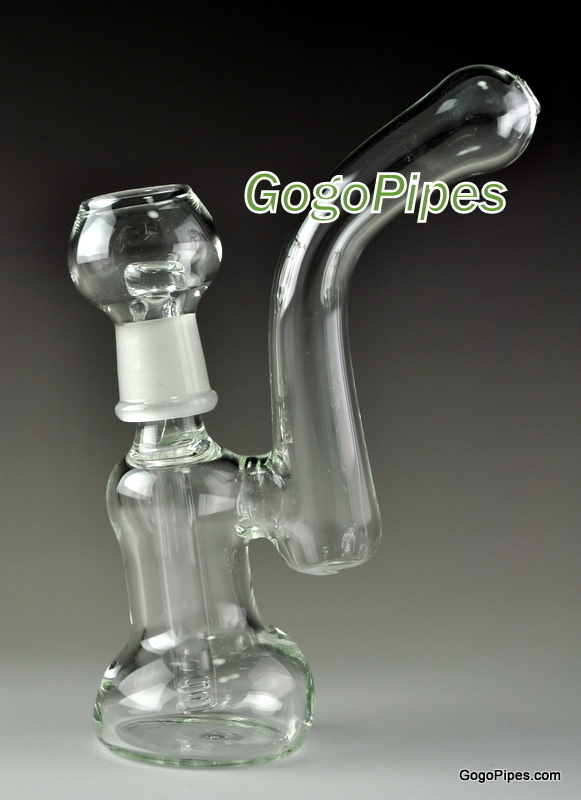 New In built daisy diffuser concentrate bubbler is made by GogoPipes.com. It stands securely by itself and very simple and decent looking product. It's approximately 7 inches tall and 5mm thick better quality. Comments: I love it! This is my first rig and it's great, I'm about to buy one for a friend of mine. Pros: Unit is small and compact but very smooth. The first one I received came broken but company promptly replaced it with a new one. Cons: Without enough water and using a reclaim catcher unit becomes unstable and wants to fall over. Putting extra water in it corrects this issue. Pros: I love this Oil Rig, it's not too small, but YET, not too big either. It was bigger then I thought it would be be, but it is a decent size oil rig. Fast shipping from 3 - 5 days. And I got a FREE eHooka for my friend since I told them it was his Birthday! Buy a titanium nail though off of eBay, and you'll save money. Then the rig itself is complete! Love this site! Definetly gonna order something again from them. Definetly RECOMMENDED! Cons: It is a little lop sided when standing in place, but most pieces like this usually are. Comments: Buy this, and it any products! GREAT Quality! Pros: i haven't had this thing for long but i already love it! The hits are very nice and smooth with the diffusion. there's no way you can beat this price. Cons: gets dirty fast, and i don't like the glass nail. but it works. Comments: you need to get this. 30 bucks for this perfect little rig. buy it.